In the 2nd World Cup Kabaddi Championship, Indian Kabaddi team maintained its supremacy and won the championship last night. The hosts India crushed Canada, 59-25 and won the highest ever prize money of two crore rupees at Ludhiana's Guru Nanak Stadium. Canada, as runners up, won a prize of one crore rupees. Indian raider Gagandeep Gaggi Khiranwali and Indian stopper Mangat Singh Mangi were adjudged as best raider and best stopper and won a tractor each. Indian eves also clinched the maiden World Cup Women's Kabaddi trophy by crushing United Kingdom, 44-17. The Union Government is to set up a separate directorate of small tea growers soon under Tea Board of India. Official sources said that the step will benefit the small tea growers of the country. The tea industry of Assam, which contributes around 55 percent of the country’s total tea production, urged the government to set up the proposed directorate in Guwahati. Assam has the highest number of small tea growers in the country and has over 70 thousand small tea gardens. Small tea growers account for about 25 per cent of the total tea output. The Reserve Bank of India chose to continue with its tight monetary stance and raised interest rates by 25 basis points-13th time since March, 2010-- to tame inflation, even as it lowered the growth target to 7.6 per cent for the current fiscal. In a major policy decision, Reserve Bank Governor D Subbarao also deregulated savings bank deposit rates with immediate effect. It said inflation will start cooling by December this year and is likely to come down to 7 per cent by March, 2012. RBI has kept other key rate and ratio- bank rate and cash reserve ratio (CRR)-- unchanged at 6 per cent each. It also retained the statutory liquidity ratio (SLR) at 24 per cent. Factors like weakening global macroeconomic outlook and high domestic inflation will pull down the economic growth rate further, RBI said while lowering the GDP forecast for the current fiscal to 7.6 per cent from its earlier projection of 8 per cent. The Reserve Bank of India has also proposed to notify banning prepayment penalty on floating rate home loans, as recommended by the Banking Ombudsman recently. The Indian rupee dropped by 58 paise to a lifetime low of 52 rupees 73 paise against the US dollar on November 22 on persistent demand for the American currency from banks and importers, amid sustained foreign capital outflows from the equity market. Meanwhile Finance Minister Pranab Mukherjee has said that the Reserve Bank of India is keeping a close eye on the value of rupee against dollar. The deputy governor of Reserve Bank of India, Subir Gokaran said that the rupee depreciation is moving as per market dynamics and the fall in the value of the rupee will particularly impact India’s energy import bill. Mr. Gokaran said that any action taken by the RBI to arrest the fall of the rupee might have consequences in the near future. He said that the immediate impact of the fall in the value of the rupee will be on the inflation rate which has been hovering near the double - digit mark for several months. Eminent nuclear scientist and Member of Atomic Energy Commission Dr. M.R. Srinivasan said that India has no alternative but to develop uranium based nuclear reactors to meet ever increasing energy demand of the country. He said that Thorium based energy will not be possible before 2030. He observed that neither solar, wind nor LNG options are available with India to meet the demand and at a reasonable price. Mr. Srinivasan said that the cost of energy generated at Kudankulam will be less than three rupees per kilowatt. Allying the fears that an earthquake like situation can bring a big hazard at the nuclear plant site, the eminent scientist said that at Fukushima the earthquake happened at 9 on Richter scale followed by tsunami but if any quake comes at Kudankulam it will not be more than 6 on the Richter scale as per the scientific assessment. He asserted that this makes Kudankulam one billion times safer than Fukushima. Pakistan is in illegal and forcible occupation of about 78,000 sq. km of Indian territory in Jammu and Kashmir since 1948. Indian territory under Chinese occupation in the State since 1962 is nearly 38,000 sq. km. Giving this information in the Lok Sabha, the External Affairs Minister, Mr. S.M. Krishna said that under the so-called China-Pakistan Boundary Agreement of 1963, Pakistan illegally ceded 5180 sq. km of Indian territory in Pakistan-Occupied Kashmir to China. He denied any Indian land under Bangladesh's illegal occupation. But he said there have been pockets along the India-Bangladesh border which have traditionally been under the possession of people of one country in the territory of another. These are known as Adverse Possessions. 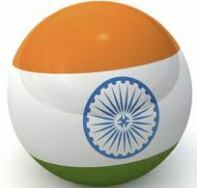 Mr. Krishna said India considers boundary issues as bilateral matters with the concerned country. The government has set up mechanisms to settle these boundary issues with the countries concerned. No third party role is envisaged in the matter.